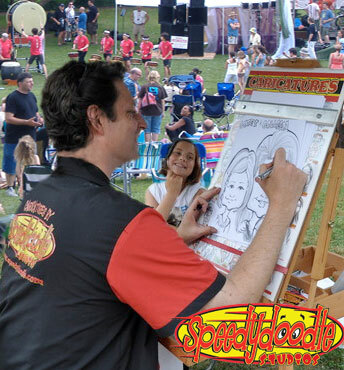 It’s going to be a busy weekend doing caricatures. I have a five hour event at a minor league baseball stadium on Saturday and a birthday party on Sunday. I’m not sure how busy I’ll be but I’ll try and snap some photos to post for next week. This entry was posted in Caricature and tagged party caricatures. Bookmark the permalink.